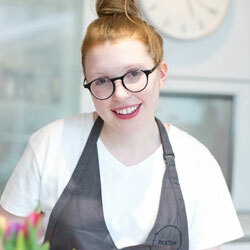 Throughout the duration of the certificate, you will learn basic pastry skills (such as knife skills, basic pastry doughs, sugar techniques, petits fours and basic entremets) and be trained under the guidance of some of the most respected pastry chefs in the UK. Please note that in order to successfully complete our Basic Pâtisserie Certificate, students will be required to handle alcoholic beverages and beef or pork derivatives within a culinary context. Basic Pâtisserie is an introduction to French Pastry. Additionally students will learn how to follow health, safety and hygiene regulations, as well as gaining basic wine and cheese knowledge. The certificate also aims at developing personal kitchen organisation and management skills. Le Cordon Bleu’s unrivalled teaching methods are based on learning and understanding classical cooking techniques through practice and discipline, and once mastered, can be applied to any cuisine in the world. The Basic Pâtisserie Certificate combines demonstrations and hands-on practical classes in professionally equipped kitchens. This diploma course has been accredited as a “Customised Qualification” by national awarding organisation NCFE, and the course measurable learning outcomes have been benchmarked at Level 3 using Ofqual’s Regulated Qualifications Framework (RQF) level descriptors. You will also achieve the Level 2 award in food safety.